This plugin creates a single window that contains all the available travel skills, including the race, class and reputation skills. This has to be extracted to your "Documents\The Lord of the Rings Online\Plugins" folder (if you are on Windows) so two folders called Turbine and TurbinePlugins show up there. 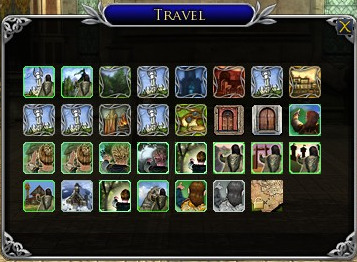 Travel WIndow ist ein Plugin was euch Ingame eine Übersicht für eure Reiseskills liefert. Da ich Deutsch spreche könnt ihr auch gerne auf Deutsch Kommentieren wenn ihr Probleme habt, ich versuche euch dann gern zu Helfen! DE: Textanpassungen im Deutschen Client, damit diese nicht mehr in den Optionen unter Auswählen abgeschnitten sind. - Entfernung des MACOSX Ordners. EN: This is a small patch that includes the new travel skills for update 22 and update 23. REP Port, Hunter Port an Hüter Port. THANK YOU! That did the trick and I love the plugin! I tried to download the beta_LuaPlugins.7z, but can't get it to open, or unzip. Windows 10 keeps asking for an app to open the file. Any help would be greatly appreciated! ..s Online\Plugins\DhorPlugins\Tra vel\TravelWindow.lua:2: Unable to resolve package "Turbine.Debug"
...Rings Online\Plugins\DhorPlugins\Tra vel\__init__.lua:2: Failed to import package "DhorPlugins.Travel.TravelWind ow". ...the Rings Online\Plugins\DhorPlugins\Tra vel\Main.lua:2: Failed to import package "DhorPlugins.Travel". Thaliruth - thanks for picking up the plugin! I have updated the page where I was hosting my version to mention that my version is deprecated and this is now the most current one. Never mind -- I pulled the new updated file instead of the old one!!! Thanks for the feedback. Version 23 was previously error free. Just download here on Lotro Interface or in the Lotro Plugin Compendium and overwrite the old files. 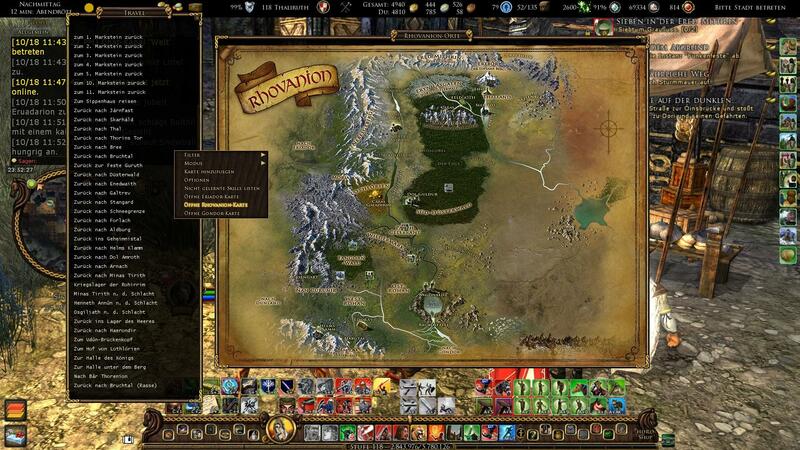 The Eriador and Gondor maps work as expected -- howver, the Rhovanion only shows a grid with icons on it. I am also not getting any of the U22 or U23 entries. When I unziped the file it created a new "DhorPlugins" file, so I drug the old one out of the Plugins folder and am using the new one. I have Guide to Dale/Jarnfast and Skarhald -- but none of them show up in the "select" pannel.